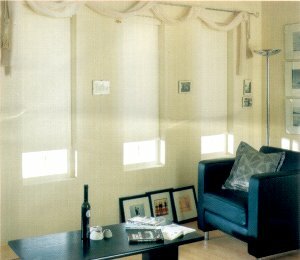 Roller Blinds continue to offer perhaps the most practical style of window shadings. Suitable for just about anywhere in the home our collection combines the tones of contemporary weaves and textures with the exclusivity of traditional and designer prints. ALL will add an extra dimension to any room. A comprehensive colour range, traditional Whites and Creams or emerging Terracottas and Yellows - there will be something for even the most discerning of tastes. Adding some individuality to your roller blind is readily achieved from our extensive selection of shaped finishes and choice of decorative trims and pulls.